File this under shameless brag. Or excessive celebration. The number of copies of Hood I sold yesterday on Amazon. I had been averaging selling 4.4 books per day since release Jan. 13th. From what I understand that’s something to celebrate in and of itself. But 16?!? MAN, that got me excited. If there’s anything I’ve learned from poker, it’s one thing. Celebrate your victories. If there are no big victories, celebrate the small ones. Because it’s hard to stop yourself from feeling defeat when it happens. So you better damn well enjoy victory when it comes. If there’s anything else I’ve learned from poker, it’s that past outcomes are not an indicator of future success/failure. Over a long enough sample size, sure, past data can be used for information. But we’re talking 2.5 weeks here. I can’t rest on my laurels. Gotta keep swingin’ the bat for my book! Anyway. I just wanted to enjoy this, and share it with you all, specifically those who have helped me get the book to where it is. It’s been a long road. So from the bottom of my heart, here’s some amazing (bread)cat pictures. There are a hell of a lot of feelings out there. Publishing a book has a way of eliciting many, many of those feelings. Excitement, anxiety, trepidation, hope, raw fear, doubt. Then comes the magic. 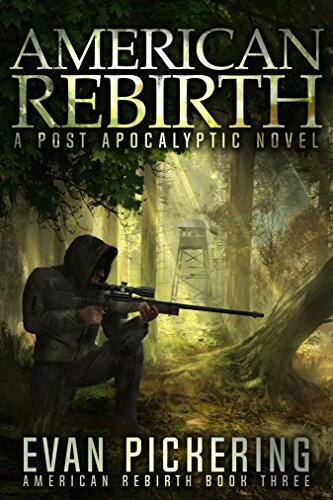 You set it free to roam the scavenged wastes that is the world of E-publishing. Its rifle, your plot. Its ammo, your character depth. It’s food and water supply, your cover, blurb and marketing skills. It must fight to try and become king of the wastelands. Or not. But y’know, it sounds cool to say. I was so nervous when it was going live. I didn’t know how I would feel. But something happens to you, the author, when it is published. There is this joy. At least, there is for me. Getting to reach out to people, getting to connect with old acquaintances and close friends and family and strangers over this labor of love you’ve created, this creation that is born of your mind and gives wonder and excitement (hopefully) to those who read it. . . Well, it’s just an awesome feeling. Every day, I wake up, and it feels like Christmas. I rush over to my computer, turn on the dashboard and see how the book is doing. How many KU pages have been read? How many books have been bought? A lot? A little? None at all? I get excited not because I made two dollars when someone clicked a button to buy my story. I get excited because My baby is out there, and people are reading it. People I know, people I don’t know. Some will hate it, some will love it, some will tear it apart, some will sing its praises, some won’t finish it, and some will simply say meh, s’aright. And it’s all awesome. I love it all. It’s so much fun. I’ve worked so hard on this book for so long. I just want to see it all. I want to see the hate and the love and the indifference because it is all a part of the experience. Now all I have to do is write the next book. Deep Breaths. I’ve pored over various articles of various successful Indie authors proclaiming the benefits of either going KDP Select or publishing on multiple platforms. No one knows what the hell is going on. Admittedly, many by their own admission. I read a great blog post by Hugh Howey on his forays with exclusivity. He, like many, can see the benefits of going KDP select and going multiple-platform. Alternatively, Joanna Penn, who I had the pleasure of talking to face to face at Thrillerfest 2015, wrote a great article claiming that if you are making a series, multiple-platform is the way to go. It’s sound logic; the greater visibility you have for book one, the more potential sales there are for later books. Problem is, I’m not sure we have a great idea for which approach actually grants greater visibility. It seems to vary from a case to case basis. For me, I’ve been very happy with KDP Select thus far. I’ve made almost as much money on Kindle Unlimited Book Lends as I have with selling the book itself. And I’m sure it helps tremendously in raising my Amazon rankings and getting it out there. If someone buys my book, I make about $2.10. If someone reads it cover-to-cover on KENP, I make $1.35. That’s not bad at all for being “free”. 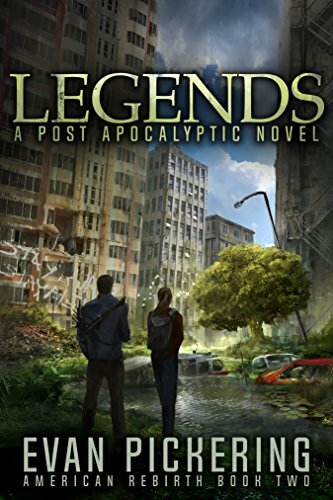 As of right now, I’m ranked #144 in the Dystopian category on amazon, and #229 in Post-apocalyptic. I’m pretty tickled with that for being two weeks in. I wonder what my numbers would look like if I had not opted for KDP select. It’s impossible to know, really. Though I’d have to be selling a decent amount of books on Kobo/Smashwords/ the rest of ’em. But am I sacrificing long term visibility? Who knows. I’m just happy the book is doing pretty well thus far. Better than I expected for my first two weeks, anyway. Booya. There’s just never enough time. On monday, my life becomes crazy again. So naturally, I’m trying to shoe-horn way too much into two days, while trying to ‘relax’. But I can only spend so many hours a day marketing and formatting Hood for Print-on-Demand. A man has his limits. This should be by all rights a fun, relaxing blizzardy day. I suppose the only person stopping that from happening is me. There’s just too much I need to do. Too much I want to get done, too many things within my control. Being an Indie Author is awesome; you control every element of your writing, of your production, you are the executor of your own grand designs. But it also is just so, so much to do. One thing I try to remember, which I usually do a terrible job of remembering, is to set some reasonable expectations for my day. Or at least just demarcate what is doable for one human in one snowed in apartment. Otherwise, I’ll end up like I am now. Stressed out, not feeling any satisfaction for anything I get done. So this is my diary for today. My typographical catharsis. Brain cleanse. RELAX. EVERYTHING IS FINE. YOU’RE DOING GREAT. YOU’RE GOING TO KEEP FURTHERING THE BOOK’S SUCCESS. TAKE A DEEP BREATH. ENJOY ALL THIS. THERE’S ONLY ONE JONAS TODAY. Post-Apoc blogging at it’s finest. 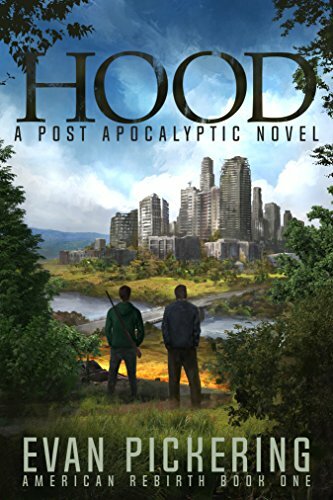 HOOD is live on Amazon Kindle! I can hardly believe this day has come! Surreal is not a strong enough word. More like unfathomable. There she is. In all her glory. It’s taken me a long time and it’s been a lot of hard work, but the book is live on Amazon. I don’t even know what I’m feeling. Pride, Joy, Anxiety, Hope, the desire to start editing again, lol. Most of all, I knew it was time to put it out when I could read it (after so, so many edits) and feel happy, satisfied, excited with what I had put down on the page. I’m proud of it. I love it. It fills me with joy. So, it was time. And now its here. Now comes the simple task of marketing it (lol). For all of you who have been waiting for it. . .